Analog Man carries the JoeMeek FloorQ compressor Pedal. This is basically a Joemeek Optical rack Compressor in a pedal. 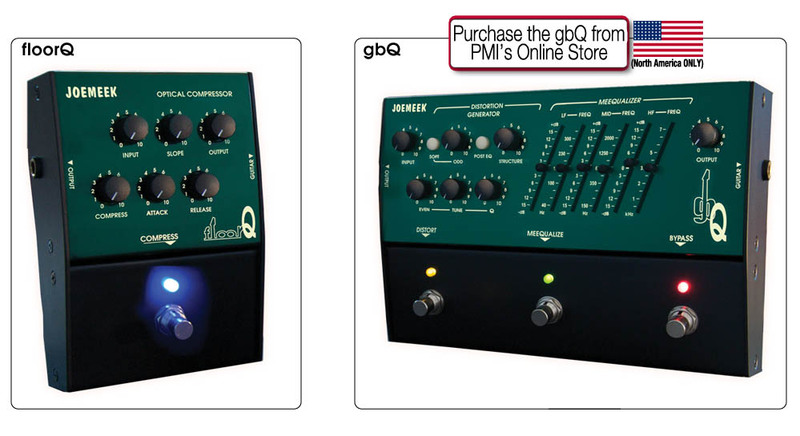 Analog Man carries the JoeMeek gbQ Distortion Generator Pedal. A full featured distortion pedal with odd and even harmonics, three parametric Equalizers allows you to create your own signature distortion sound or get any of the classic distortion tones.